It would be unfair to unveil any more details from this story, as it would spoil some of the unexpected twists in this action-packed thriller. “La Caja 507” follows the style of classic film noir movies combined with the explicit violence of a Frank Miller (a.k.a. Sin City) graphic novel. Instead of the dangerous streets of Philadelphia, New York or Chicago this story of Mafia, corruption and revenge takes place in Southern Spain. The former cold and wet black and white streets have become tourist areas – some still under development – in the burning Mediterranean sun. But the constant tension, cold blood violence and the main character’s need for revenge closely resemble film noir classics such as Fritz Lang’s “The Big Heat”. Urbizu writes and directs this dark thriller which leaves the audience neither room nor time for breathing. Actors Antonio Resines and José Coronado shine as the revenge driven anti-hero (Resines) and the merciless blood thirsty villain (Coronado). The rest of the cast deserves some mention too – Goya Toledo as evil Mazas’ alcoholic girlfriend or Sancho Gracia in a very short guest appearance are other examples of the intense performances which can be seen in the film. 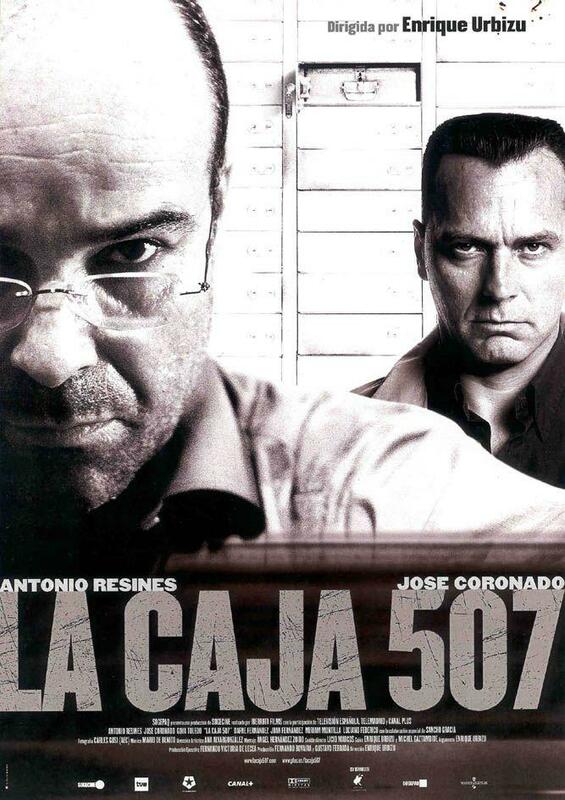 “La Caja 507”portrays a world that is constantly nurtured by corruption, extortion and lies. This world exists right here and right now, and Urbizu’s script is still as up-to-date as today’s newspapers. In fact, members of the audience may be left wondering if any resemblance to reality is indeed purely coincidental. Is this film available to buy in the UK? According to the UK Film Distributor’s Association’s website, “La Caja 507” has not been released in the UK yet. On the other hand, it can be easily purchased on DVD at Amazon.com, Amazon.es or Ebay for a very reasonable price.